As a full-service HVAC repair company, you can count on us for reliable HVAC repair, installation, and maintenance services. We have provided heating and cooling services to Minnesota residents for over 25 years. Still today, our customers remain our No. 1 priority. We know how important your indoor comfort is to maintaining a welcoming environment. 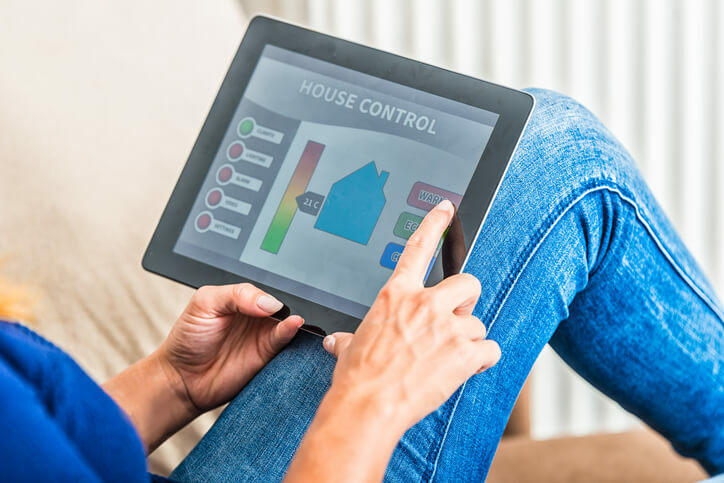 These HVAC energy tips can help your keep your residential heating and AC system function at peak efficiency year-round. For more information on how to upgrade the efficiency in your home or to schedule services, contact Bloomington Heating & Air today! *Bloomington Heating & Air does not service boilers, hydronic, attic, or high velocity systems. The lowly vent in your home is overlooked and stepped over every day. Fall and springtime are an ideal time to take 15 minutes and check your vents. These should be free from clogs and debris which can find its way in there easily, especially during the long Minnesota summers when kids and pets go in and out all day. Make sure your intake is clean and dust-free, and clean out the in-floor registers where pet hair and even kids toys will often end up. If you notice that the rooms in your home have uneven heating, there may be an issue with the ductwork. Leaks or cracks in the ductwork affects the ability for heat to reach specific rooms in a home. Our technicians are trained to provide all necessary heating repair services, including ductwork repair and replacement, so every room in your home will be warmed to perfection. The best way to prepare your heating system for the onset heavy-use season — winter — is with our preventative HVAC maintenance check-ups. We will inspect every component of your heating and cooling system and ensure it runs at peak efficiency. Avoid dry spells in the winter with residential humidifiers. Residential humidifiers help maintain adequate levels of moisture throughout your home. Humidity helps retain and distribute heat — a key ingredient of efficiency and comfort in the colder months. These systems can also help improve efficiency and reduce the amount of airborne allergens. Even with the heating system running at full-blast, the winter cold can make any Minnesota home feel frigid. For added heating, open the blinds and curtains during the day. Unblocked windows will absorb the natural sunshine and warm your indoor air. Keep windows and other outdoor entryways covered at night to avoid losing indoor heat. In the winter, ceiling fans should rotate clockwise to pull cool air up from the ground. The gentle updraft moves the warm indoor air, which naturally rises to the ceiling. Switching the rotation of your ceiling fans will help make your home feel warmer and decrease the use of your heating system — lowering utility costs. In the springtime, slowly reduce the humidity in your home to prepare for warm outdoor air. While there might still be cold snaps, reducing indoor humidity levels in stages can help maintain comfortable indoor air and avoid dealing with indoor air that is either too dry or too humid. Springtime allergies can be downright miserable. But changing your air filters can help remediate the accumulation and circulation of harmful indoor allergens. Air filters can also extend the life of your heating and cooling system by filtering out most of the dust, pollen, and other particles in your home. As with fall maintenance, scheduling HVAC maintenance services in the springtime is essential to ensuring your AC functions optimally before the onset summer heat arrives. As the outdoor air heats up, your cooling system will be relied upon day and night. Without a professional check-up, your HVAC system is susceptible to unnecessary wear and tear that both decrease the functional lifespan and impact the system’s ability to cool the home. During the summer season, ceiling fans should rotate counterclockwise to push cool air down to the floor. As the fan rotates, the cool air evaporates perspiration, creating a wind-chill effect. Switching the rotation of your ceiling fan will serve to make you feel cooler without having to adjust the thermostat — lowering your monthly utility bill. Air conditioners placed in direct sunlight use more electricity than ACs installed in the shade. To avoid reduced efficiency, consider planting shrubs or shade trees near the system for a natural source of shade. Be sure to plant them close to the unit — but not too close — to provide adequate shade while maintaining adequate space for effective air flow. Depending on the level of outdoor heat, blocked vents or leaks in the ductwork can make it seem like your AC system is failing. Before considering a system replacement, inspect the air vents to ensure they are open and free from clogs or blockages. If the ductwork is faulty or leaking, contact us for professional AC repair service. Our technicians will identify any issues and effectively repair or replace the ductwork. Got a Heating or Cooling Question?